Made of fabric outside and mesh inside, this designer pet harness will bring both style and comfort to the most playful member in your family. You may not be able to realize that this lovely design can bring spring charms to your special friend until having this designer pet harness handy. Made for Cats, Puppies and Small Sized Dogs Harnesses are comfortable alternative to collars for small pets as they evenly distribute restraint across the chest. 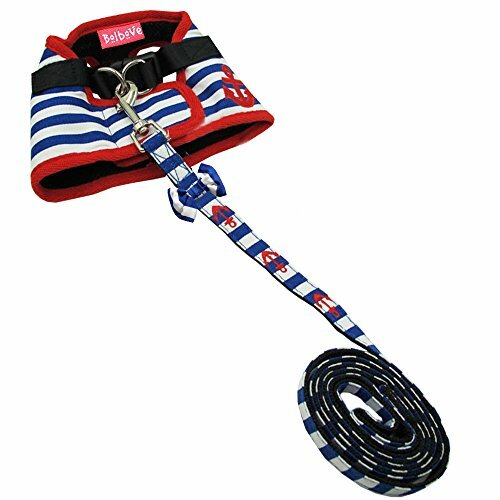 The harness is designed to be gentle and put less stress on the pet when pulling on the lead. Comes complete with a matching leash. 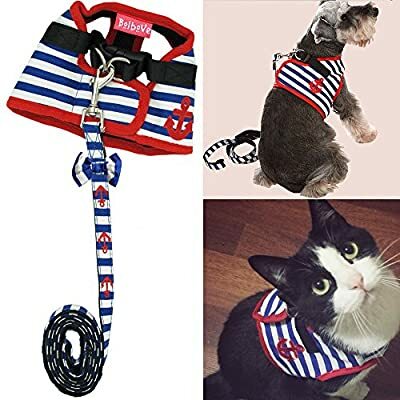 Easy on and easy off with velcro straps and perfect for everyday walk and weekend party, or just making your pet look its best We have 5 sizes for this cute Harness. Size XS: fits pet's Chest Girth 10 to 13 inches and Neck Girth 6 inches; Size S: fits pet's Chest Girth 13 to 15 inches and Neck Girth 7 inches; Size M: fits pet's Chest Girth 14 to 17 inches and Neck Girth 8 inches; Size L: fits pet's Chest Girth 16 to 19 inches and Neck Girth 10 inches; Size XL: fits pet's Chest Girth 19 to 23 inches and Neck Girth 12 inches. Leash is 46" in length. Size for any cat or dog is unique. Similar to our clothing and accessory, the same size from one designer is not the same from another. To ensure the best fit, please measure your pet precisely with a flexible tape measure but NOT by weight.